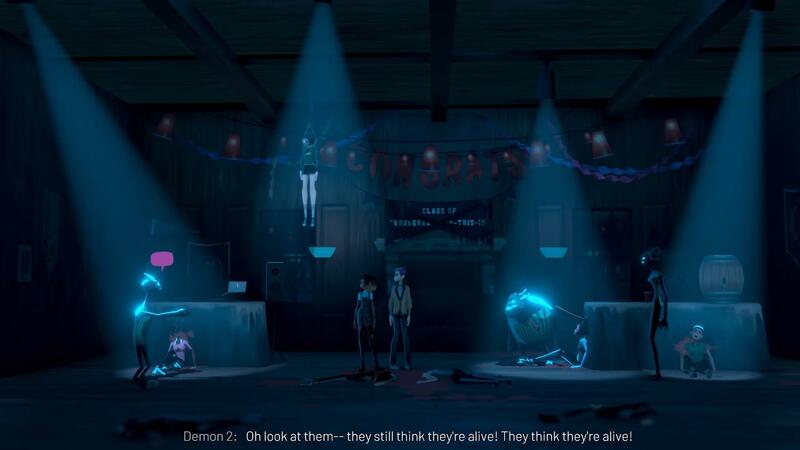 Afterparty is a very unusual adventure quest in which you will go to Hell where something strange is happening. Here the fire is everywhere, as expected, the demons and traits, but they all drink and drink a lot, and, moreover, the most powerful alcohol. In the story you will play for a girl and a boyfriend, bosom friends, who at one time loved to go to all sorts of parties and get drunk. But the sudden accident caused both of them to die and end up in Hell. Naturally, they immediately began to look for a way back to the world of the living, but as it turned out, you can only get back in one way. And this way is to compete with the Devil himself. The whole point is to compete with the lord of Hell in the use of alcohol. We need to defeat the Devil so that he agrees to let Milo and Lola go back to the world of the living. But this will not be so easy. First, the Devil will never waste time competing with anyone. 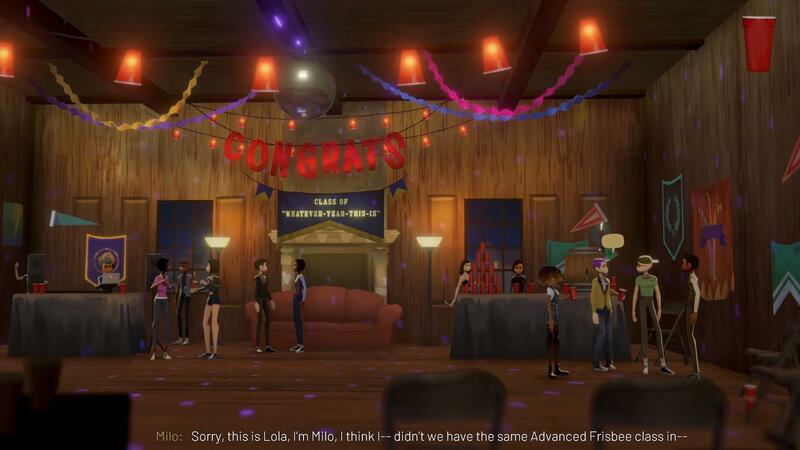 Secondly, Milo and Lola themselves also have to train a lot at first, because until now no one has defeated such a powerful opponent, and indeed, very few people tried to do it. First, you will need to make your heroes famous in order for the Devil to pay attention to them, and this is the essence of the game. You will have to wander through the expanses of Hell and drop in at various bars and pubs, where the demons are competing with each other just in drink. Communicate with them, arrange competitions, participate in tournaments and win — in the end the Devil will see you and will want to invite you to his own tournament. 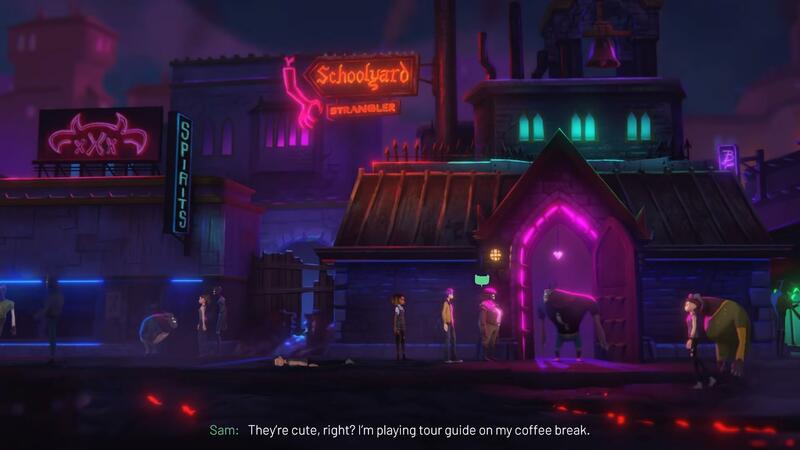 By the way, in Afterparty you will find a whole list of various competitions, festivals, parties, tournaments and mini-games, and every time your life will hang in the balance. Incline the demons in your direction, defeat them, make concessions and then return to the world of the living for you is not difficult.